La anemia hemolítica autoinmune (AHAI) es un trastorno con autoanticuerpos dirigidos contra los glóbulos rojos lo que acorta su supervivencia. 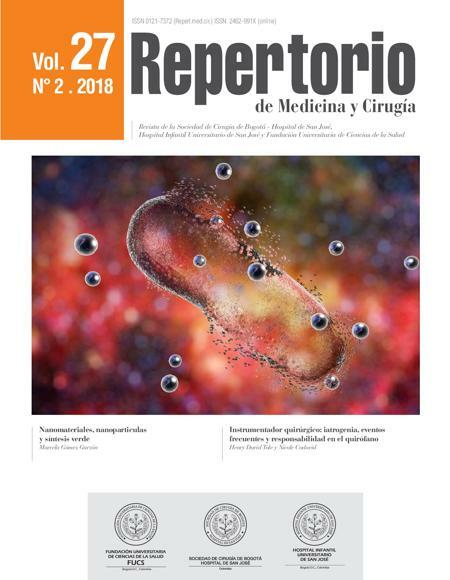 Su etiología es diversa, puede ser idiopática o secundaria a consumo de medicamentos o a enfermedades autoinmunes. La fisiopatología exacta sigue sin estar clara en los casos en que se ha descrito secundaria a enfermedad tiroidea, siendo la mayoría de los pacientes hipertiroideos en el momento del diagnóstico de AHAI. Presentamos un caso con antecedente de AHAI idiopática con múltiples exacerbaciones, que ingresa por síntomas sugestivos de tirotoxicosis vs tormenta tiroidea, manejado con metimazol, propanolol, corticoides y colestiramina. Se concluye que el paciente desarrolló una AHAI secundaria a un hipertiroidismo, por lo que es importante evaluar las causas secundarias y realizar un seguimiento estricto debido al componente autoinmune de su enfermedad. 1. Lee FY, Ho CH, Chong LL. Hyperthyroidism and Evans' syndrome. A case report. Taiwan yi xue hui za zhi Journal of the Formosan Medical Association. 1985;84(2):256-60. 2. Gehrs BC, Friedberg RC. Autoimmune hemolytic anemia. American journal of hematology. 2002;69(4):258-71. 3. Ogihara T, Katoh H, Yoshitake H, Iyori S, Saito I. Hyperthyroidism Associated with Autoimmune Hemolytic Anemia and Periodic Paralysis: A report of a case in which antihyperthroid therapy alone was effective against hemolysis. Japanese Journal of Medicine. 1987;26(3):401-3. 4. Ushiki T, Masuko M, Nikkuni K, Terukina-Yoshida J, Momotsu-Nanba A, Morikawa H, et al. Successful remission of Evans syndrome associated with Graves' disease by using propylthiouracil monotherapy. Internal Medicine. 2011;50(6):621-5. 5. Valent P, Lechner K. Diagnosis and treatment of autoimmune haemolytic anaemias in adults: a clinical review. Wiener klinische Wochenschrift. 2008;120(5-6):136-51. 6. Ford HC, Carter JM. The haematology of hyperthyroidism: abnormalities of erythrocytes, leucocytes, thrombocytes and haemostasis. Postgraduate Medical Journal. 1988;64(756):735-42. 7. Orwoll ES, Orwoll RL. Hematologic abnormalities in patients with endocrine and metabolic disorders. Hematology/oncology clinics of North America. 1987;1(2):261-79. 8. Chiang E, Packer CD. Concurrent reactive arthritis, Graves' disease, and warm autoimmune hemolytic anemia: a case report. Cases journal. 2009;2(1):6988. 9. Chee YC, Gill DS, Poh SC. Hyperthyroidism and autoimmune hemolytic anemia--a case report. The Medical journal of Malaysia. 1978;33(2):154-5. 10. O’Brien D, Lyons DJ, Fielding JF. A case of Graves’ disease associated with autoimmune haemolytic anaemia. Irish journal of medical science. 1989;158(6):155. 11. Yashiro M, Nagoshi H, Kasuga Y, Isobe H, Kitajima S, Nakagawa T, et al. Evans' syndrome associated with Graves' disease. Internal medicine. 1996;35(12):987-90. 12. El-Shirbiny AM, Stavrou SS, Dnistrian A, Sonenberg M. Jod-Basedow syndrome following oral iodine and radioiodinated-antibody administration. The Journal of Nuclear Medicine. 1997;38(11):1816-7. 13. Kuroda H, Kida M, Watanabe H, Matsunaga T, Niitsu Y, Matsumoto M. Basedow disease associated with Evans syndrome. [Rinsho ketsueki] The Japanese journal of clinical hematology. 2005;46(10):1118-22. 14. Arpin MP, Alt M, Kheiralla JC, Chabrier G, Welsch M, Imbs JL, et al. Hyperthyroidism and immune hemolytic anemia following amiodarone therapy. La Revue de medecine interne. 1991;12(4):309-11. 15. Naji P, Kumar G, Dewani S, Diedrich WA, Gupta A. Graves’ disease causing pancytopenia and autoimmune hemolytic anemia at different time intervals: a case report and a review of the literature. Case reports in medicine. 2013;2013. 16. Isozaki O, Satoh T, Wakino S, Suzuki A, Iburi T, Tsuboi K, et al. Treatment and management of thyroid storm: analysis of the nationwide surveys. Clinical endocrinology. 2016;84(6):912-8. 17. Satoh T, Isozaki O, Suzuki A, Wakino S, Iburi T, Tsuboi K, et al. 2016 Guidelines for the management of thyroid storm from The Japan Thyroid Association and Japan Endocrine Society. Endocrine journal. 2016;63(12):1025-64. 18. Branehög I, Olsson KS, Weinfeld A, Domellöf L. Association of hyperthyroidism with idiopathic thrombocytopenic purpura and haemolytic anaemia. Journal of Internal Medicine. 1979;205(1‐6):125-31. 19. Geissler D, Ogriseg M, Fill H, Wolf H. Plasmapheresis treatment in 3 simultaneously occurring autoimmune diseases: Hashimoto thyroiditis with hyperthyroidism, autoimmune thrombopenia and autoimmune hemolytic anemia. Wiener klinische Wochenschrift. 1987;99(10):351-5. 20. Bianco AC, Nunes MT, Hell NS, Maciel RM. The role of glucocorticoids in the stress-induced reduction of extrathyroidal 3, 5, 3′-triiodothyronine generation in rats. Endocrinology. 1987;120(3):1033-8.